Field of View at 1000 Yards : 170 ft.
Close Focusing Distance : 45 ft. 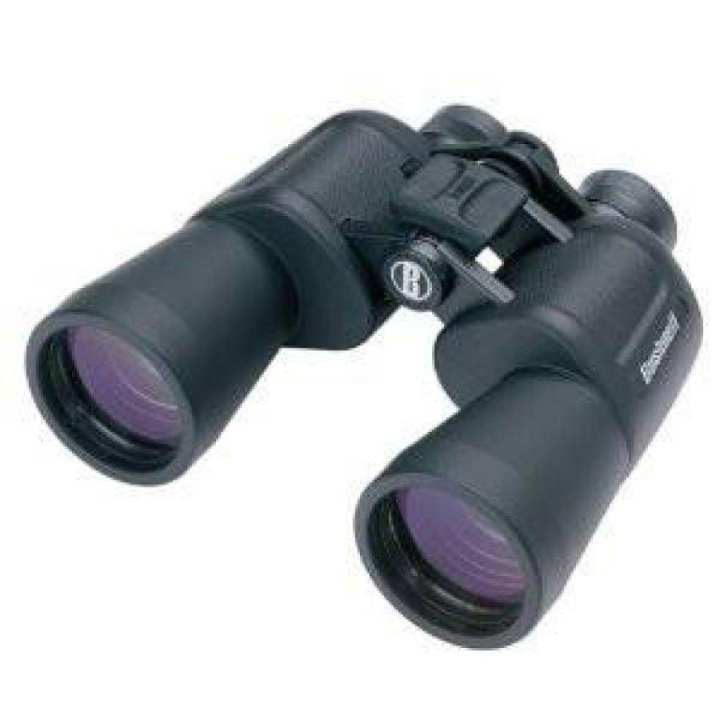 The Power View series offers the largest line of Bushnell-quality, affordable binoculars. No matter what your purpose, you'll find a variety of magnifications, styles and sizes, and multi or fully-coated optics for bright, vivid images. Standard-size porro models feature Insta-Focus for fast and easy focus on moving targets. How do you make a legend better? Make one for everyone. The new Legend E, L and M series binoculars are quite simply the most feature-filled binoculars at any price. The entire line is backed with the all-weather assurance of Bushnell’s exclusive RainGuard HD coating. Built with a lightweight magnesium chassis and fully multi-coated optics for amazing light transmission, the E Series demonstrates excellence on every level. The L Series takes these attributes further, adding industry-leading features such as ED Prime glass and a locking eyepiece diopter. For maximum brightness and clarity, the M Series adds a Dielectric coating to ensure high color reproducibility and 92 percent light transmission. No matter which Legend you choose, you'll get best-in-class performance at no risk with our exclusive warranty.